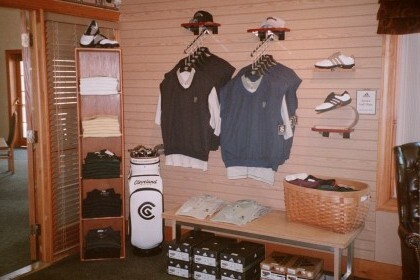 The Golf Shop at Paxon Hollow is managed by Dan Malley, PGA Professional. Whether you're a beginner or a seasoned player you will find everything you need in the golf shop, and we will make sure that you are outfitted properly. We carry accounts with all the major brands in the golf industry, and are always willing to place a special order when necessary. The Golf Shop at Paxon Hollow stocks a wide variety of Apparell and Accessories to help you to play your best golf, and look good doing it. We carry some of the most popular brands in golf and several very good value brands. If you are looking to "Tech Up" with some new Golf Equipment Paxon Hollow is the place to go. We have accounts with all the major Golf brands and offer equipment for beginers through expert players. Our PGA trained professional is available to provide expert advise to help you select the best equipment for your game and your budget. Become a handicap member through Paxon Hollow and recieve an official USGA handicap and have access to several Paxon Hollow Golf Tournaments. Private lessons and Group Clinics are available at Paxon Hollow. We use simple easy to understand techniques and our lessons stay focused on one thing at a time. We will provide drills and suggest practice plans to help you improve quickly. Group clinics, private lessons, and playing opportunities for junior golfers at reasonable prices. 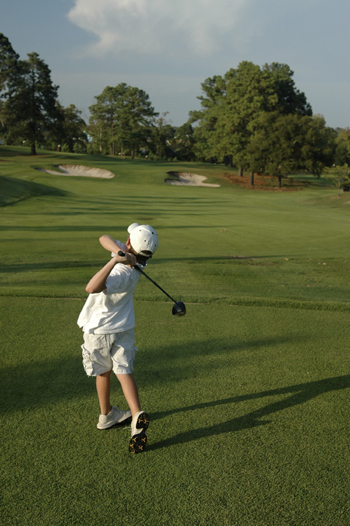 Paxon Hollow is the perfect place for the junior player to get started.